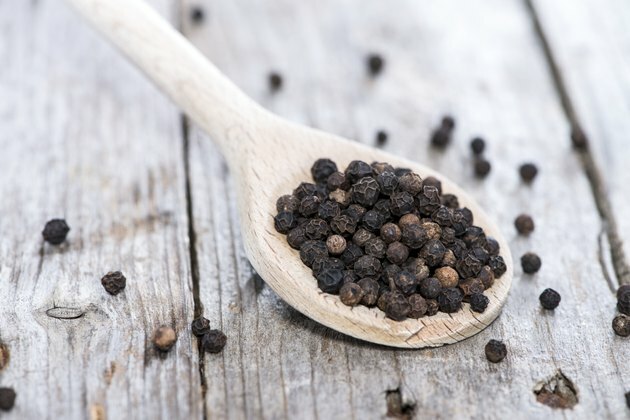 Black pepper has a lengthy history in human culture -- the University of Wisconsin notes that every civilization in recorded history has used it, and that peppercorns were once used as a form of currency on the Malabar coast. Like many spices, black pepper is low in calories -- a teaspoon of peppercorns contains 7 calories. Eating black pepper also increases your mineral and phytonutrient intake and might reduce your risk of disease. Using black pepper in your cooking helps you consume more manganese. A teaspoon of black peppercorns contains 370 micrograms of manganese, which is 21 percent of the daily intake for women recommended by the Institute of Medicine, and 16 percent for men. Black pepper's manganese content activates enzymes your cells need to metabolize nutrients, including proteins and fats. Getting enough manganese in your diet also supports healthy bone development, and manganese helps you make collagen required for wound healing. 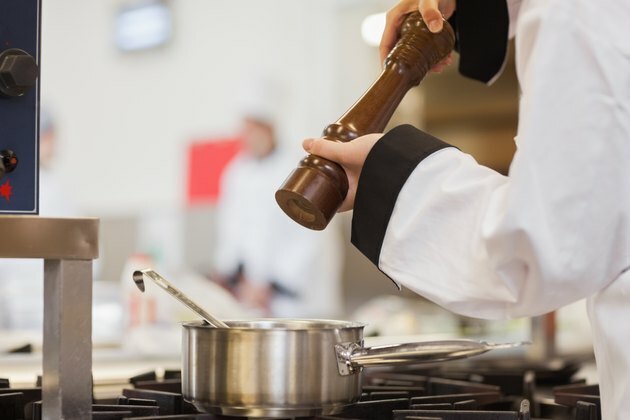 The black pepper in your cooking might also help you lose weight. Black pepper -- along with other spices, such as ginger -- acts as a thermogenic, according to a study published in "Physiology and Behavior" in 2006. This means it increases your metabolic rate. Another study, published in the "Journal of Agricultural and Food Chemistry" in 2012, found that piperine -- a chemical in black pepper -- suppresses genes needed for new fat cell growth, and, as a result, it fights the development of new fat cells. While more research is needed to find out just how well black pepper aids in weight loss, it might help you achieve or maintain a healthy weight. 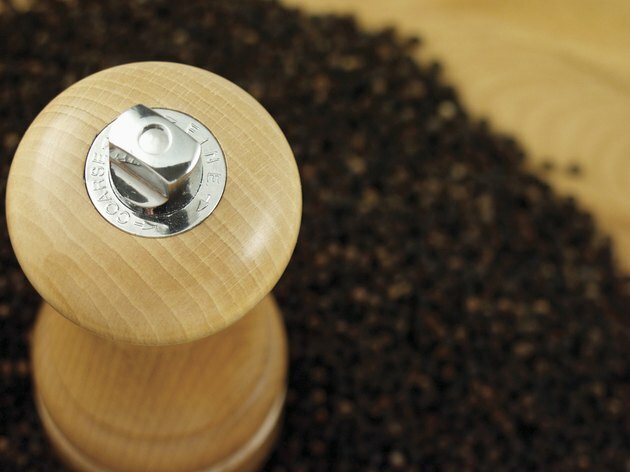 Adding black pepper to your diet might also help stave off cancer. The piperine in black pepper affects your cells' proliferation, and fights the proliferation of rectal cancer cells, according to a study published in "Experimental and Molecular Pathology" in 2013. The study also found that piperine exposes rectal cancer cells to reactive oxygen species -- toxic chemicals that kill the cancer cells. An additional study, from the January 2013 issue of the "Journal of Nutritional Biochemistry," reports that the piperine in black pepper hinders new blood vessel growth within tumors, stunting their growth. Black pepper contributes to a heart-healthy diet and promotes cardiovascular health. An animal study, published in the November 2013 issue of "Cell Biochemistry and Biophysics," found that piperine helps regulate blood pressure and reduces inflammation, which would otherwise contribute to cardiovascular disease. Black pepper is also low in sodium, at just 1 milligram per a 1 teaspoon serving of whole peppercorns -- less than 1 percent of your daily allowance. 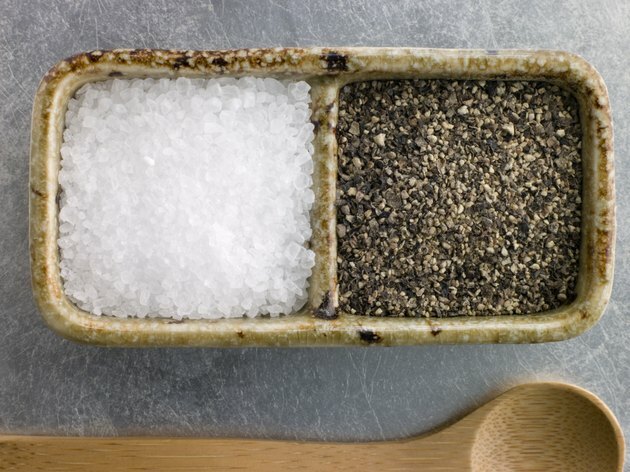 Using black pepper to season your meals in place of table salt or sodium-laden seasonings benefits your cardiovascular health. 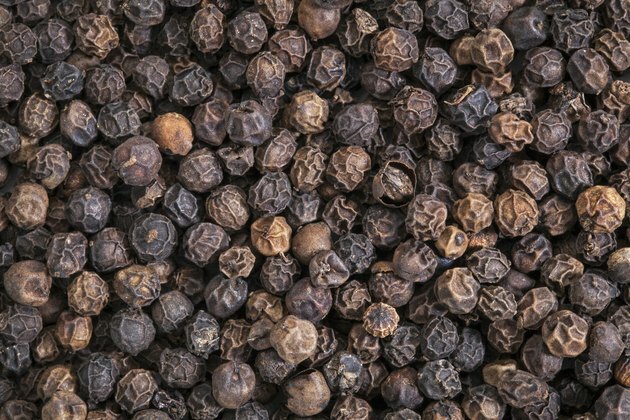 Journal of Agricultural and Food Chemistry: Piperine, A Component of Black Pepper, Inhibits Adipogenesis by Antagonizing PPARγ Activity in 3T3-L1 Cells. Journal of Nutritional Biochemistry: Piperine, a Dietary Phytochemical, Inhibits Angiogenesis.